Deborah Caldwell — Deborah Caldwell is Executive Editor at The Foundry, the branded content studio at Meredith Corporation. She previously held executive positions at Time Inc., including digital managing editor at Fortune and digital assistant managing editor at Money, and served as Vice President and Head of Content at PepsiCo. Earlier in her career, Deborah spent 20 years as an award-winning religion and politics specialist. She was a founding team member and Vice President of Content at Beliefnet, where she helped guide the staff to multiple Webby Awards, the Online News Association Award for General Excellence and the National Magazine Award for General Excellence Online. Before that, she was a senior writer at The Dallas Morning News, where she won a Templeton Award for religion reporting. Deborah also spent a year as a Knight-Wallace Journalism Fellow. In recent years, she has branched into native and branded content, e-commerce content, and corporate communications as a digital innovator and media executive. As a member of the RNS Board of Managers, she combines expertise in religion journalism with more newly acquired digital and business skills — giving back to the journalism profession and helping it move forward. Muhammed Chaudhry — For most of his life, Mr. Chaudhry has immersed himself in educational causes, uniting leaders of the business, technology and academic communities to advance those causes. After earning a degree in business, graduating from the Stanford Executive Leadership Program and working in the private sector as a brand marketer with Clorox Company and Dazzle Multimedia, Mr. Chaudhry’s passion for philanthropy led him toward a career in the nonprofit sector. As past President and CEO of the Silicon Valley Education Foundation (SVEF), Mr. Chaudhry forged fruitful partnerships with world-leading firms in Silicon Valley, such as Oracle, Cisco, Google, HP, SAP, Target and Walmart, among others. As a result of his efforts, these firms have actively supported SVEF’s key education initiatives to improve student performance in science and math, better prepare students for college, and advance the future of global innovation by educating our workforce on 21st-century technological and business challenges. Since 2008 alone, Mr. Chaudhry has raised over $100 million for numerous education initiatives. Under his leadership, SVEF has become the go-to education foundation serving Silicon Valley, focusing on new and innovative ways for students to learn while closing the achievement gap — especially for under-represented and minority students. Mr. Chaudhry also serves as Communications Director for the Ahmadiyya Muslim Community USA. He currently serves on the boards of American Leadership Forum Silicon Valley and the National Science Foundation EHR. He also serves on several advisory boards. In 2017, he joined the board of the Madison, Wisc.-based Wall Family Enterprises. Mr. Chaudhry resides in San Jose, Calif., with his wife and twins. Judith Golub — Judith is a highly skilled executive-level leader and activist with more than 25 years of experience working with Congressional staff, federal agencies, and the White House; planning, coordinating and implementing legislative strategies; developing policy, media and grassroots issue advocacy campaigns in support of legislation and policies; developing and working in coalitions with like-minded organizations to help create effective networks; and working with the media. Ms. Golub most recently was the Director of Congressional Affairs & Policy and Planning at the U.S. Commission on International Religious Freedom (USCIRF), an independent federal commission that monitors religious freedom abroad and makes policy recommendations to the President, Secretary of State, and Congress. Before joining USCIRF, she was the Executive Director of the San Francisco-based Immigrant Legal Resource Center. She also was the Senior Director of Advocacy at the American Immigration Lawyers Association, and Legislative Director at the American Jewish Committee, both based in Washington DC. Golub has focused on a broad range of issues during her career including religious freedom, hate crimes, due process protections, civil rights, and immigration. Nicole Neroulias Gupte — Nicole is thrilled to bring her journalism, religion and nonprofit management expertise to Religion News Service’s managing board. During her reporting and editing career, she created a weekly Faith section at The San Mateo County Times, covered Judaism and national trends for Religion News Service and created Beliefnet’s Belief Beat daily news blog. She won a Religion Newswriters Association reporting award in 2006 and was a contest finalist in 2006, 2008, 2010 and 2011. Since transitioning to the nonprofit sector, she has worked with a range of foundations, corporate giving programs and community organizations on communications and development campaigns in the Pacific Northwest. Nicole has a bachelor’s degree in communication from Cornell University, a master’s degree in journalism from Columbia University and a certificate in nonprofit management from the University of Washington. She lives in Seattle with her husband, two young children and a young-at-heart beagle. In her spare time, she plays oboe and percussion in the Seattle Symphonic Band and practices public speaking at Emerald City Toastmasters. 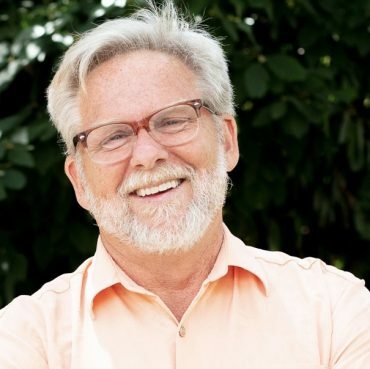 John Terrill, Ph.D. — John is executive director of the Stephen & Laurel Brown Foundation, where he guides Upper House, a multi-experiential ministry center on the University of Wisconsin (Madison) campus. John previously served as director for the Center for Integrity in Business at Seattle Pacific University, as well as national director for InterVarsity’s Professional Schools and MBA Ministries. John holds a PhD in Industrial-Organizational Psychology from Seattle Pacific University. He is also a graduate of Indiana University (BS), Northwestern University (MBA), and Gordon-Conwell Theological Seminary (MAR & MATH). He and his wife, Vanja, live in Middleton, Wisconsin, with their daughter, Elena.